Netmarble is bringing their mobile action-RPG, based on SNK's famous King of Fighters series, to America and Europe later this year. The King of Fighters All-Star will be made available on iOS and Android devices. Launching in Japan in the Summer of 2018, The King of Fighters All-Star gathers together hordes of characters from decades of KoF titles. 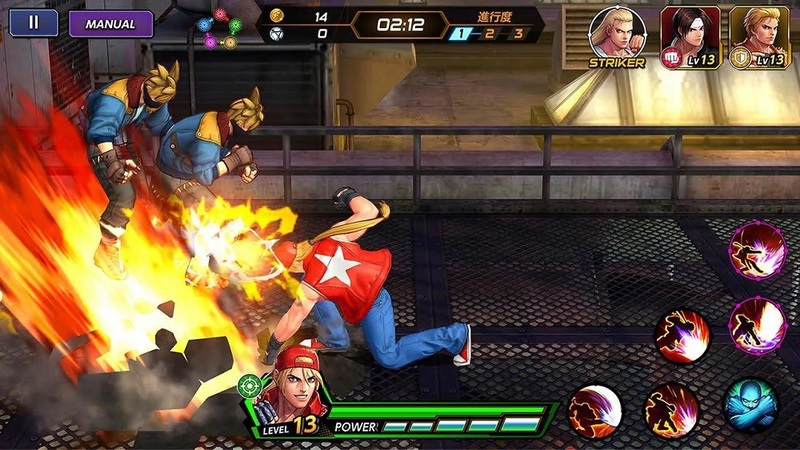 Players build decks and select teams from over 50 launch fighters, engaging in battles with opposing teams and boss characters, executed in stripped-down one-on-one battles and scrolling brawler sections. "The Netmarble family prides itself on re-imagining popular brands into engaging mobile games", said Netmarble president Simon Sim in a press statement. "The King of Fighters All-Star features an exciting action RPG format and comprehensive roster which will appeal to both longtime fans of the franchise and newcomers looking for an action-packed mobile experience". The King of Fighters All-Star will launch on iOS and Android devices later in 2019.